While going through the book Unstuffed I am really taking a hard look at the things in my home and their importance and what changes I need to make to what things we own and keep. That way we will have less clutter and also have more quality items in our homes that we love. 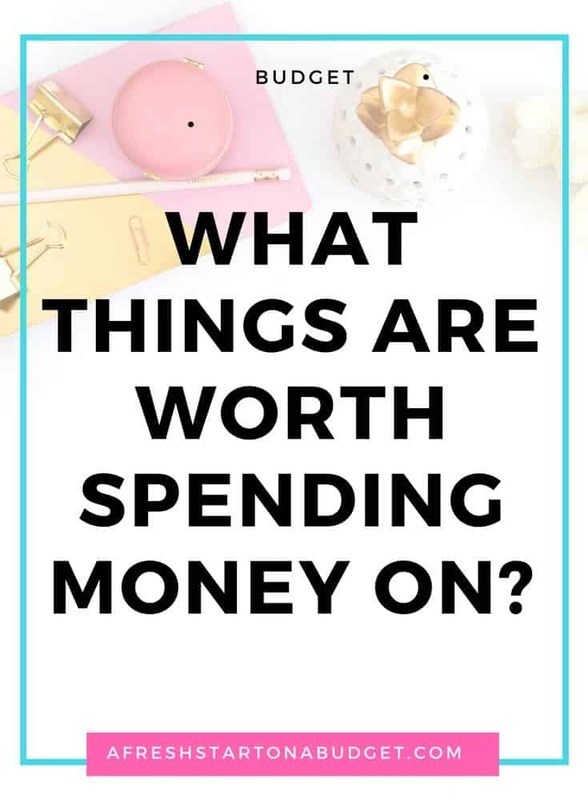 I wanted to figure out what things are worth spending money on and what isn’t. This book is all about tackling clutter and the chaos it brings to our lives, homes, family and well being. I have gotten a lot of good advice from the book and it is written by a fellow blogger who I have followed for years. You can check out Ruth’s Blog Living Well Spending Less to get to know her. Will it last in a home filled with pets and a family? For us, this has become such an important question when it comes to spending money on things when out shopping. We have two dogs, one who is still a puppy and two cats. Which means we have animals who chew things up and who pee on things as much as we try to stop them. So at this stage of life things, there are certain things that are not appropriate to spend money on. Regardless of whether or not we want them, it wouldn’t be wise to spend the money. An example is that we want to get a new bed for our bedroom. We’ve had our mattress forever and at some point, we really need a new one. Well until we get our puppy to be 100% house broken. Not chewing there is not a lot of sense in buying a brand new mattress. It’s not worth spending money on something that expensive that will be ruined. So, for now, we make do with our old mattress which works fine and if it gets beat up more is not a problem. Can we make a present more practical or serve two purposes? This is a technique I use often in order to both save money and have less stuff brought into our house. When it comes to holidays and special occasions I want to make sure that we make the most of gifts and presents. My daughter just had a daddy/daughter dance at school so we got a dress that worked for both the dance and Easter. There was no reason to buy two dresses or have to fit two dresses in her closet. I really try hard to make sure that when she gets clothes either from me or for holidays that it can be used as many times as possible. Also, it is worth spending money on things that will be used often and have more value than things that will just be thrown away or forgotten about. So for Easter baskets and Christmas stockings, I try to help fill them up with things like new socks, underwear, new pajamas, swimsuit, books, art supplies and things like that. Instead of small toys or lots of stuffed animals. A couple of fun things like that is fine but it is worth spending my money on new things that she needs and likes instead of more toys which she has plenty of. Just taking the time to think about these two questions. Helps me to spend less money and to not waste it on things that will be ruined or thrown out. There are many things to think about when it comes to having less stuff and spending less money. These questions are a good place to start, though. 30 ways to save money! grab your copy of 30 ways to save money! Great post! I try to always be practical too. Sometimes it is tough! I did get some cute Easter Baskets at Goodwill for .49 cents each! I love this. I always think back to how my younger brother destroyed EVERYTHING nice my parents ever had. My boys aren’t as wild as he was when he was their age, but I am holding off on the really nice stuff till they are grown. These are great! with 4 cats and a toddler we definitely have to ask if it is worth it! Great post – I have pinned it too! This is something that I think more people should think about. Many people go overboard with so many items, less is more, more often than not! Good questions to ask. I like your idea of filling Easter baskets with socks and useful items like that. I do the same for their stockings, but didn’t think about their baskets. Thanks! These are really great questions to ask before spending those extra dollars. Everything we purchase now goes through a similar list of questions… Will I still wan this in five years? Will it last that long? Would it be better to save up and get a better version of this thing? This is a great blog post! The pet question is SO important! We don’t have children, but when we got married and moved into our first house, we bought all white Pottery Barn furniture. Couches, beds, linens..everything! All in pretty cream colors..ya know, just like you see on Pinterest! Turns out, two chocolate Labs later, that probably was our worst possible choice 😉 Great list!! I am very picky about a lot of the stuff we buy in my house. Not because I’m controlling but because I hate spending money on something that’s either broken in a day or wasted. I often spend money for the sake of money and I should not do that as I need to save money. Great food for thought! We always talk about how long something is going to last for the value. If it lasts, even if it was expensive it was good value! great way to keep an eye on your budget. At the moment we’re saving for a holiday … so we don’t spend much on anything. I feel that I would rather spend my money on travel and experiences than items. We have some of our best memories on family trips. I like change so I usually try to buy furniture that I like but without spending a fortune. Thais way when the mood strikes I can repaint or reupholster without feeling guilty. Loved reading this post, a lot of good tips! I definitely ask myself those questions before I make most purchases, my apartment tends to get so cluttered with stuff! I definitely consider pets. We have three cats and two dogs, so I pick out furniture with easily cleaned fabric (and invest in some mats that keep them off the furniture!). We tend to read reviews to compare prices and quality before buying. We are waiting until the kids are out of the mass destruction phase of their lives be fore we spend our money on “nice things”. Plus with the day home it doesn’t make sense to put our money towards things that aren’t going to last. Heather Lawrence recently posted…25 Popcorn Recipes perfect for a quiet night in. Great tips! I always think about the many ways I can use an object or the person receiving a gift will benefit from using an item. I love multi-functional items, especially for kids. We always choose to spend money on experiences over more stuff. So, even though our living room could use some new furniture we are taking another long family vacation instead. It doesn’t mean we don’t have some unnecessary stuff… gosh, seven boxes since the first of March and the Salvation Army drop off center hasn’t seen the last of me yet. I don’t have to worry about the kids or pets as much as my husband. He seems to break more than anyone else. He is the one spilling milk not the kids. But I love him anyway. I just don’t buy as many nice things anymore. I have a similar thought process when I decide whether or not to buy things. I won’t say I always go with the money saving smart choice but most often I do. Ahhhh I always put pets into consideration! My child, she’s finally getting to an age where she’s not breaking stuff, my pets however ughh…. love the simplicity of this post. just two things to think about and remember when spending. thanks for sharing!! I am always trying to keep clutter out of my home, but it’s so hard with a family and pets. I do like the idea of finding various uses for a single item. It’s one area of my life I’m trying to get better with. Those are 2 really great questions. We have three boys right now, so many things do not pass the first question test. Maybe in about 10 years I’ll be able to get nice things 😉 Great ideas for the double uses too. These are great questions to ask! I’m on a constant mission to reduce the amount of things I have and to know when to splurge on something nice. Quality over quantity! Whenever I go through my closet and get rid of things it feels so nice and refreshed and gives me that wonderful peaceful feeling!